Catholic schools in northeast Minneapolis have been educating children since 1853. The Sisters of St. Joseph of Carondelet opened St. Anthony of Padua School as a haven for immigrant children in 1853, and St. John Paul II Catholic School continues this tradition. Our school serves the children of proud working families of all ethnicities in northeast Minneapolis. This includes families who work in downtown Minneapolis and new immigrant families from Ecuador and Mexico who are moving in to the neighborhood. 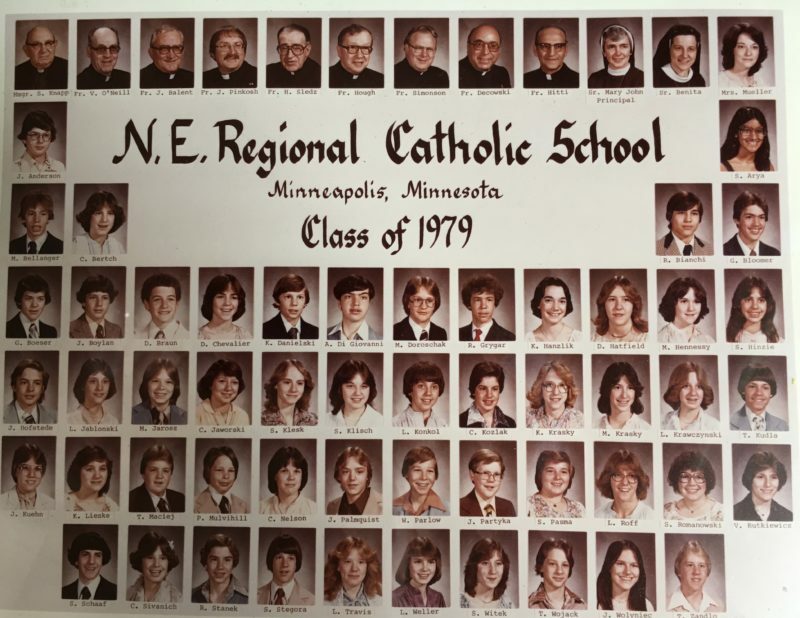 In 1969, we became Northeast Regional Catholic School, supported by the Churches of St. Anthony of Padua, St. Boniface, All Saints, Saint Maron, Our Lady of Lourdes, Saints Cyril and Methodius, St. Hedwig and Holy Cross. In March 2003, our name officially changed to Pope John Paul II Catholic School. In 2016, we joined Ascension Catholic Academy as a founding member. The Academy is a consortium of “mission-critical” urban Catholic schools that share resources. Ascension Catholic Academy provides centralized leadership and governance in multiple schools to deliver academic excellence and coordinated efforts to serve the whole child. It is the result of more than a year of study by Ascension and its partners on the best strategy to ensure excellence and sustainability in Catholic schools serving the highest portions of low-income scholars and families in the Minneapolis/St. Paul metropolitan area. Did You Attend Our School? We love to hear from our alumni and learn how your Catholic education helped you get to where you are today.